As more and more states are attempting to replicate the language of the recently passed New York abortion law, National Right to Life wants to help the grassroots pro-lifers to step up, dig in, and make a difference. Please help us spread the word about the webcast below to be held on Wednesday evening, February 6 at 7:30 p.m. eastern time. This is important and we hope you will help us spread the word and get as many pro-life activists on the webcast as possible. Thank you in advance for your help. The webcast will be brief, under one hour and will help make a difference in saving the lives of unborn and newborn babies. Pro-abortion activists and their extreme agenda have been exposed in New York. And they got caught attempting to push their agenda in the Commonwealth of Virginia. They are not going to stop, and we need to be ready. 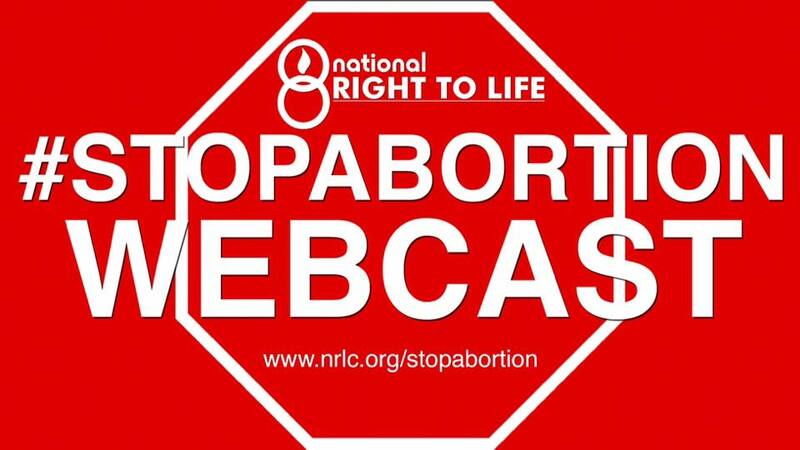 Join us Wednesday, February 6th at 7:30 p.m. for a webcast to #StopAbortion. To attend the event, click here. A panel of experts will address these dangerous proposals and help equip you to fight these laws in your state.